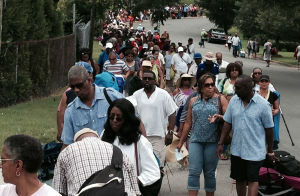 About 300 volunteers help the paid staff keep things flowing smoothly at the Richmond Jazz Festival at Maymont, which this weekend brings national artists to the city for two days of performances. Joyce Harding is one of those volunteers. 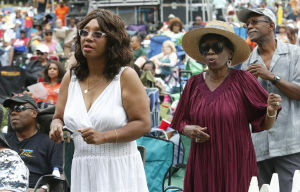 She has been helping out at Johnson Inc., promoter of the jazz festival, since the days the company presented its Fridays at Sunset outdoor summer concerts. When that series ended, Harding stayed on for the next big project, the jazz festival. 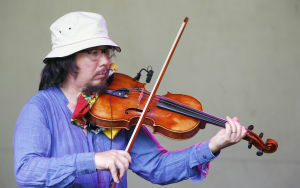 This is the sixth year for the festival, being held Saturday and Sunday at the sprawling, park-like Maymont, a 100-acre estate that includes a historic mansion, landscaped gardens, wildlife exhibits and lots of green space. Maymont is closed to the public for the Richmond Jazz Festival, but festivalgoers can explore the gardens and outdoor wildlife areas on their own. The mansion and the nature and visitor center will be closed. 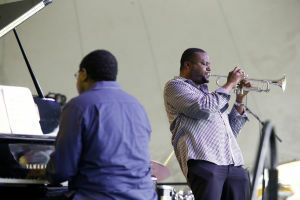 This year, as in last, the festival will have three stages, with music from noon to around 10 p.m. daily. Performance start times are staggered, allowing people to catch one favorite, then head over to another stage to catch the last 15 or more minutes of another artist. There is a lot of walking involved, though, versus parking a lawn chair and cooler in one spot and staying put. This year’s Saturday headliners are New Edition, saxophonist David Sanborn and guitarist Pat Martino, the final acts on the three stages. Martino also does a 3:30 p.m. show Sunday. New Edition is the popular 1980s rhythm and blues boy band whose string of hits include “If It Isn’t Love,” “Cool it Now,” and “Can You Stand the Rain,” and whose members — Ralph Tresvant, Johnny Gill, Ricky Bell, Bobby Brown, Ronnie Devoe and Michael Bivins — splintered off into solo and group projects. Gill wasn’t in the group initially but replaced Brown when he was kicked out. Gill remained when Brown, whose cool dance moves were a big part of the band’s appeal, returned. Brown, whose daughter Bobbi Kristina Brown died July 26, left the New Edition tour last year. 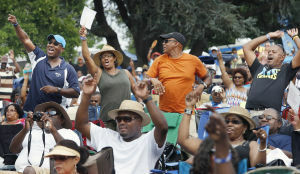 Sunday’s headliners are Natalie Cole, Lauryn Hill and Carmen Lundy, but with Macy Gray and Anthony Hamilton also on the bill, there might be some debate on who will be the biggest draw. Lundy also does a 1 p.m. show Saturday. 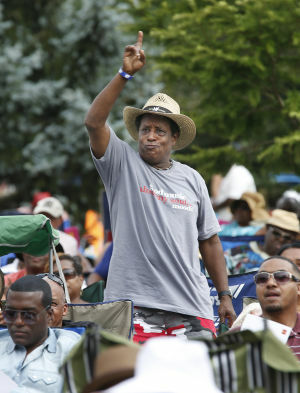 For folks going to hear mainly jazz, the lineup also includes Jazz Funk Soul (featuring Jeff Lorber, Everette Harp and Chuck Loeb), and saxophonist Kirk Whalum, back at the jazz festival for at least the third time. Whalum will perform with his brother, singer Kevin Whalum. Jazz vocalist Cécile McLorin Salvant performs Saturday, as does Will Downing. New this year are gold circle seating areas in front of the Dominion Stage and the Virginia is for Lovers Stage. The gold circle areas will be barricaded off and seating provided. Cost for this upgrade is $75 per person per stage on top of the regular daily admission of $85. Charging extra for those premium spots is getting some pushback from fans who have complained on Facebook. For them it was a tradition to get to Maymont when the gates opened to get those front-of-the-stage spots. 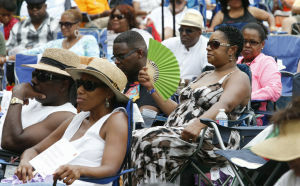 Still, it’s not unusual for outdoor events to offer special seating for those who want to pay more to get more. Innsbrook After Hours offers upgraded seating for folks who don’t want to bring their own chairs and sit on the lawn. Coolers aren’t allowed in the gold circle area, so if you do upgrade, be aware that you have to pack light. Volunteers such as Harding will be there to help if you have questions. She does everything from meet-and-greet to staffing the corporate hospitality areas to driving the golf carts that shuttle workers from one stage to another. “It’s a way of me giving back to the community. I love helping people,” said Harding. 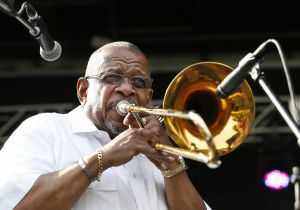 Fred Wesley and the New JBs and Bill Frisell perform on the last day of the Richmond Jazz Festival at Maymont.